In the end, we learn that all this story up to the end of the human race was a simulation and it was performed billion times before because the AI wanted to recreate the human race into a more humane one. All the time all the people were AIs and they were Turing-tested if they mess everything up like before. This is the bit that made no sense to me, they jump to that out of nowhere. The main character wakes up in the end for the second time because she was a part of one of the simulations, which ended successful, i.e. which appeared to be a successful recreation of the human race. This bit also made no sense, I don’t see how it was a success. I might re-watch the film at some point, but it was just badly written. Not much happening for most of the film and then everything happens out of nowhere. Like the weather people on the news saying there will be rain later in the day, but instead of it raining, a tsunami hits. You’re right, it was much happening and I agree I had to focus to understand what was happening (thanks to your warning). But I don’t think it’s such a badly written movie, I think it was on purpose. And if anyone here’s a good sci-fi lover and didn’t see the series Altered Carbon yet, I really recommend it, it’s really good Good characters, good story, perfect main character! The end is a little bit overreacted but it’s one of the best sci-fi series I’ve seen in the last couple of years. If you want other good, well-written, sci-fi thrillers, watch Moon, Ex-Machina and Arrival. All great films. Moon is probably my fav film. Excellent OST too. 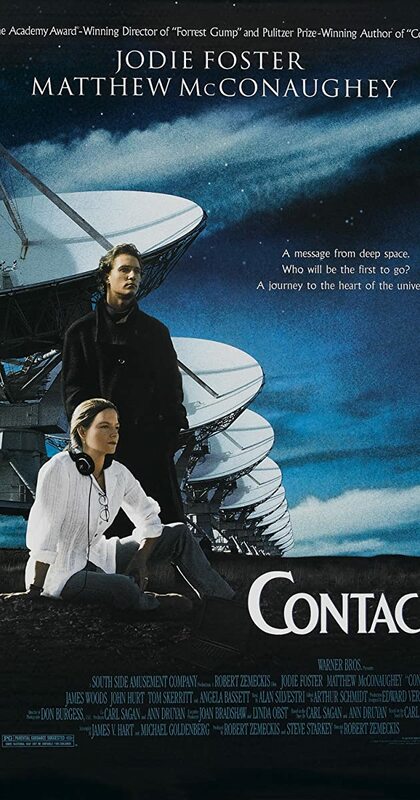 I’m yet to watch 12 Monkeys, never heard of Contact, will look into it. never heard of Contact, will look into it. Directed by Robert Zemeckis. With Jodie Foster, Matthew McConaughey, Tom Skerritt, John Hurt. Dr. Ellie Arroway, after years of searching, finds conclusive radio proof of extraterrestrial intelligence, sending plans for a mysterious machine. And a short teaser of Ghostbusters with the Original group!!! THese are the movies I’m looking to seeing this year!! Will never understand the hype behind those films. This. The first one was alright, but it seems it’s becoming just one big killing show after the other. because a cafe gave him a latte instead of an espresso. I’m looking forward to this year for movies. I wouldn’t, as I’ve said before, to me coffee is just a hot brown liquid you put in your mouth.